Today we met a deaf congregation in Harbin where I gave a short testimony. Then we went on an hour-long bumpy van ride to Heilongjiang Seminary (黑龙江神学院). I then gave another testimony to a class that consisted of first/second year deaf and hearing students. I spoke in English while my pastor translated into Mandarin. The hearing students took turns interpreting from Mandarin to Chinese Sign Language for the rest of the class. Yep, English→ Mandarin→ CSL! 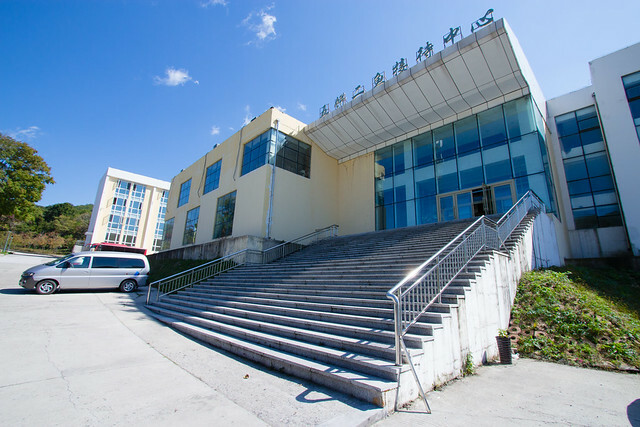 Heilongjiang Provincial Protestant Bible School started in 1996 and was upgraded to seminary level in 2013. 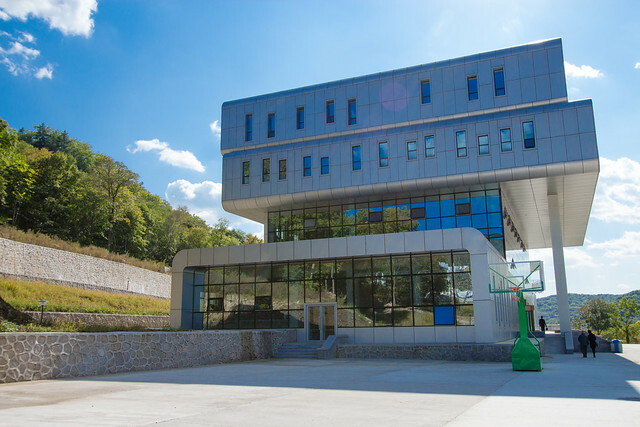 Heilongjiang Seminary now has a larger campus at Mount of Olives, with a much bigger curriculum and larger staff body. Also, if you were deaf and wanted to become a pastor in China, this was the seminary you’d attend. It’s the only seminary in China that accepts and trains deaf students to become pastors in the deaf community. We were invited to have lunch at one of the buildings that serves as a restaurant/cafeteria. There was a dining room that had two large circular tables. Each table had a mechanical lazy Susan in the middle that revolved on its own when turned on. You can grab onto the turntable to resist it from moving, though. The kitchen prepared so many dishes for us, so I’ll list them all in one post rather than publishing individual ones to save time. 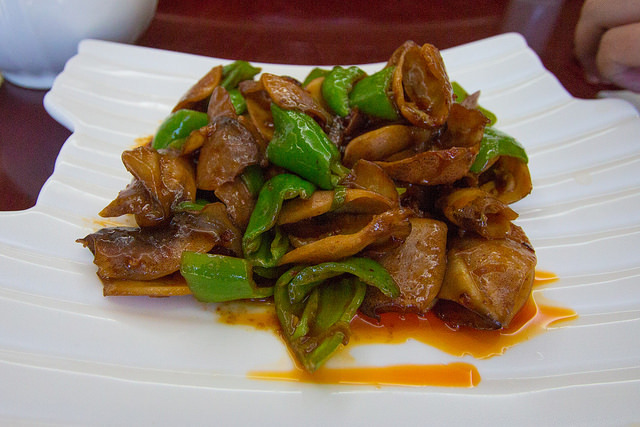 All dishes are the Heilongjiang style of the Northeastern Chinese cuisine. The spices in Northeastern dishes are more profound than in Cantonese dishes. Heilongjiang tends to have more potatoes, lamb/mutton, and corn in their diet.